The kids are having a term break.Being at home makes them hungry all the time.Ask them what they want and the answer is always a junk. 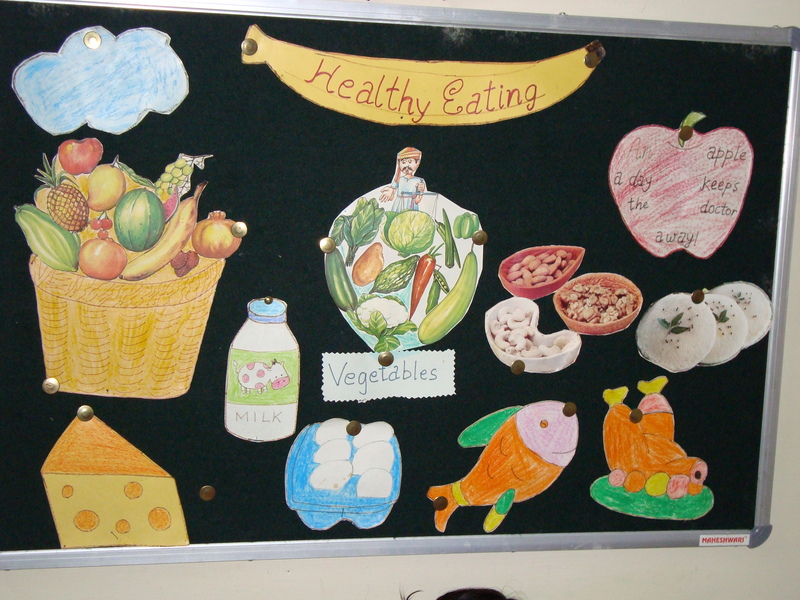 So , I drew up these pictures and put them on the soft board in their nursery.Now each time they feel hungry ,I ask them to choose items from the board and now all they eat is healthy.And they find the idea of choosing from the board fun. And making all kinds of recipes out of these is a challenge for me too.Some of the things I tried were cheese pakodas,cheese bites,fruit chaat, a banana shake,french toast,Fish fingers,vegetable dips, chicken sandwiches….tasty and healthy is the mantra. What all recipes can you think of with these ingredients?Do share. PS Munch helped me colour the pictures. I am linking this post to Colours Dekor.